Home Forums Pennsylvania Cities Begin Satellite Casino Discussions after Gov…. Pennsylvania Cities Begin Satellite Casino Discussions after Gov…. 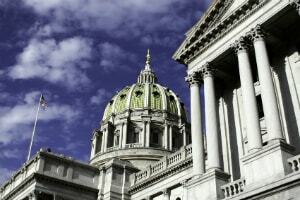 Pennsylvania’s sweeping gambling reform has already begun changing the state’s gambling landscape and debates over further alterations have been taking place in different parts of the Keystone State. As reported by local media, multiple Pennsylvania cities have commenced talks on whether they are interested in hosting one of ten satellite casinos allowed under the amended state gambling laws. Gov. Tom Wolf signed earlier this week an omnibus gambling expansion bill as part of the state Legislature’s efforts to fill a massive budget gap. Generally speaking, the gambling legislative piece legalized the provision of online gaming services and daily fantasy sports within the state’s borders, the addition of video lottery terminals at truck stops and taverns across the state, and the opening of up to ten small-scale satellite casinos, among other things. Some of the eligible cities have reportedly begun weighing the benefits of hosting smaller casinos. Local media outlets believe that the likes of York, Reading, Altoona, and Lancaster may be targeted by operators of Pennsylvania’s land-based casinos for potential hosts of satellite casinos. After the gambling package received Gov. Wolf’s seal of approval, operators of the state’s existing brick-and-mortar casinos will be able to bid for one of ten licenses for smaller gambling venues. The bidding process is set to commence in January 2018. Approved candidates will be allowed to build a satellite casino to their existing operations in an area where residents have approved the move. What is more, any satellite casino should not be within 25 miles from a property operated by a rival company. Each facility will be able feature up to 750 slot machines and up to 30 table games. Pennsylvania municipalities have up until December 31 to vote on whether they approve the potential construction of gambling facilities on their territory or not. The Mayor of Lancaster, one of the cities believed to be of interest to casino developers, told media that he will probably propose a casino ban. Officials from other parts of the state, including Lawrence County, announced that they would be interested in being home to properties of this kind. The county is located on Pennsylvania’s border with Ohio. A satellite casino in that region could potentially help the state retain casino revenue that could otherwise be spent at gambling venues in its neighboring state. As mentioned above, online gambling has also been among the sweeping reforms included in the gambling package. 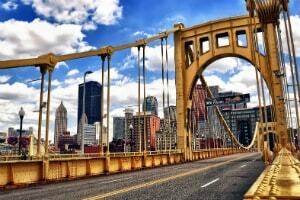 Pennsylvania thus became the fourth US state to legalize the provision of online casino games. Nevada, New Jersey, and Delaware legalized iGaming several years ago and recently signed a shared online poker liquidity agreement that would allow them to merge their player pools in near future. It is yet to be seen whether Pennsylvania will join the project.